Chatto & Windus, 1997, Hardback in Dust Wrapper. Condition: Very Good — in Very Good Dust Wrapper. Gently bruised at the top corners of the binding. Illustrated with photographs, in colour & black and white with a genealogical table to the rear. 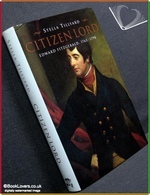 From the cover: “Citizen Lord tells the story of the headstrong and passionate eighteenth-century Irish revolutionary, Lord Edward Fitzgerald. Written with pace and sympathy, it has the force of a dashing novel, bringing a hidden past vividly before us. Son of a duke, heir to estates and influence, Lord Edward died in a Dublin gaol, a rebel and a traitor. Born in 1763, he joined the British army as a teenager, fought in the American War of Independence and was elected to the Irish Parliament in 1783. But his radical sentiments soon showed themselves, beliefs in the goodness of man and the importance of liberty and equality. Returning to North America with the army in 1787, Lord Edward spent time with the Iroquois and was adopted by them as an Indian chief. Back in Europe he became a disciple of the Republican Thomas Paine, visited revolutionary France and joined the Irish underground in the 1790s. Even his love life was political: from his tragic love for Elizabeth Linley, wife of Richard Brinsley Sheridan, to his marriage to the daughter of a French republican. In the final years of his dramatic life, politics and passion came together. With his wife as his help-mate, Lord Edward plotted Irish independence from Britain. He was captured and died, raving and wounded, as the bloody rebellion of 1798 raged around him. Citizen Lord not only tells this compelling story. 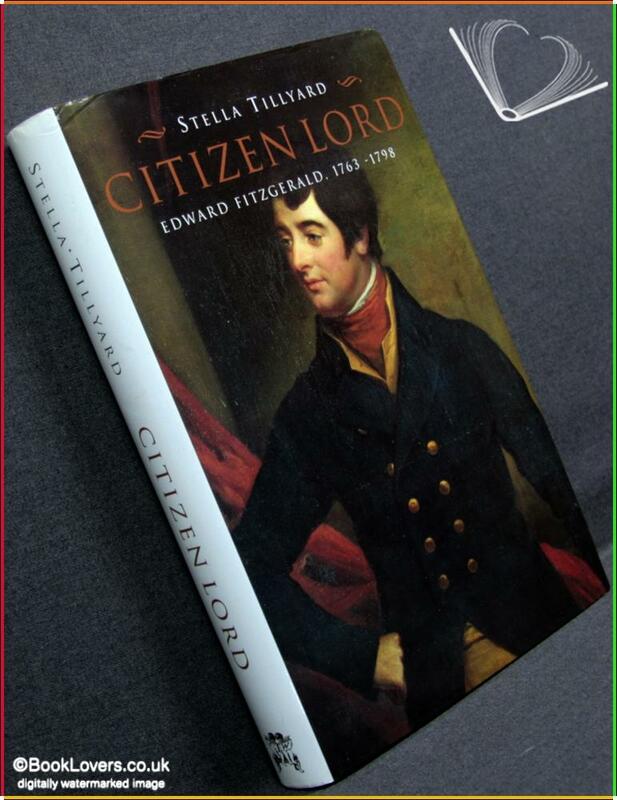 It also explores vital hidden relationships in Lord Edward’s life -those with his mother Emily, Duchess of Leinster, one of the heroines of Stella Tillyard’s bestselling Aristocrats, and with his black servant Tony Small, who saved his life and became his companion. In the figure of Tony, Citizen Lord hints at all the forgotten, invisible lives that counterpoint and make possible those that history remembers. Size: 9½" x 6¼". Black boards with Gilt titling to the Spine. [XIV] 335 pages.